After posting the Bangladesh Banglalink free internet trick, i decided to work on Grameenphone network and here we are. This trick is for Grameenphone users in Bangladesh. The trick is not difficult as the same steps and procedures are the same with that of Banglalink. 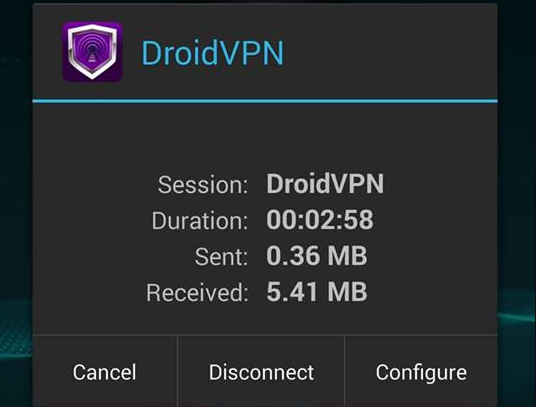 This trick works on Android and PC with the help of Droid VPN. However, uses can still port the settings to other tunneling app such as Troid VPN, Hammer VPN etc and enjoy it while lasts. Before proceeding, know that this Droid VPN app has a daily limit to its usage but can give users unlimited free internet access when they upgrade to a premium account or get the modded version of the app. Click here to join our Telegram channel for more free unlimited internet updates! 5. Enable proxy settings and configure using those IP, Port, Password and Username that you created from first step. 2. Enable proxy settings and configure using those IP, Port, Password and Username that you created from first step. 3. Now select any free server and connect and enjoy free internet access. Use your speed booster app to help in increasing your speed. This trick has a daily limit. However, you can upgrade your account to premium or simply get the modded app for free unlimited access without having to pay for it. Note: This post is for EDUCATIONAL purpose only. You are responsible on how you use this. Techfoe only drop such to alert ISP's of their vulnerabilities! post free net used my country..
Hope you're coming. I'm a Bangladeshi. There is no free net in our country. It was not long ago. And there is no man in our country that knows about a free net. And there are many free hosts in our country. I'll give all kinds of free hosts. I know you can make a free net. Jai, your little brother thought a free net for our country. I will provide all the free servers in our country and if any information happens I will give it .. Brother, I know your good man ..
We can use the free net as you are. There are many free servers in our country which we can not use. Brother, I ask all the people of my country to be happy. Brother, look at us a little ..